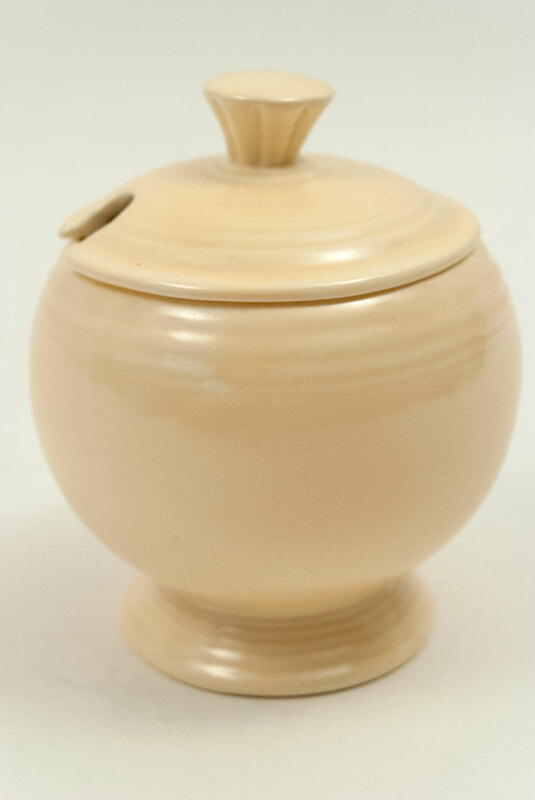 Circa 1936-1946: The vintage fiesta marmalade was orignally designed as the mustard jar for the fiesta pottery line, but it was obviously too large for mustard, but perfect for jam. 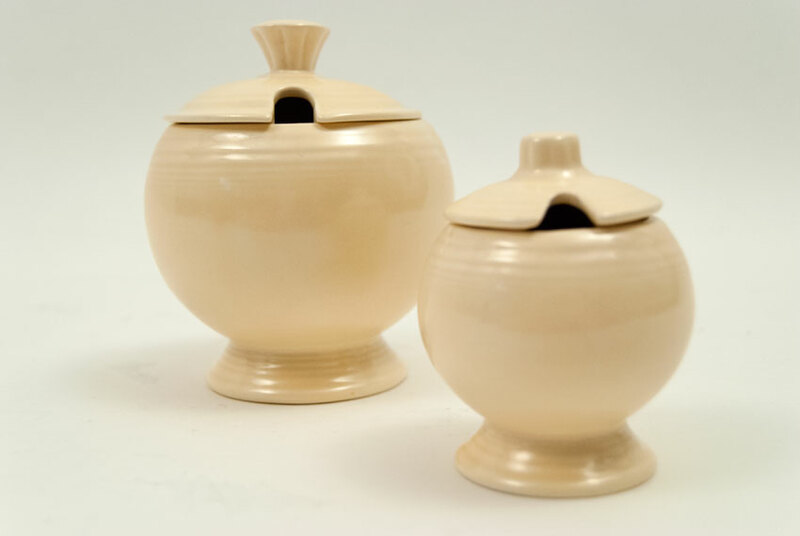 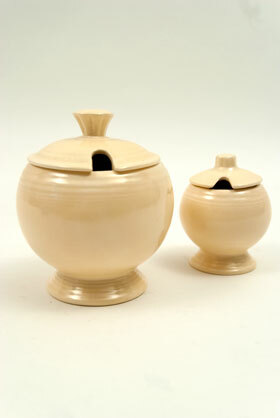 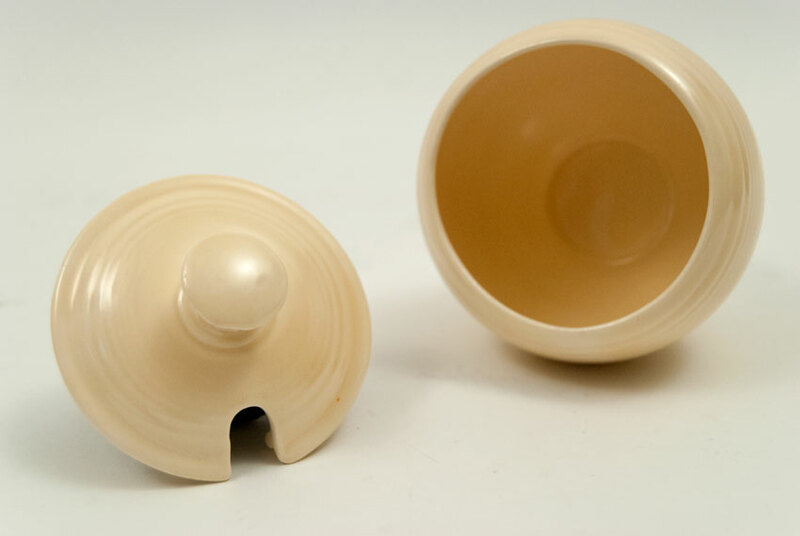 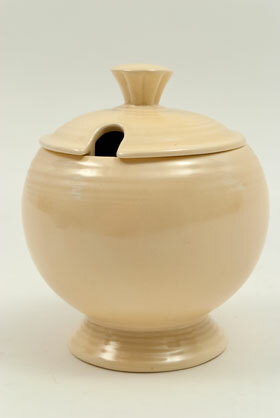 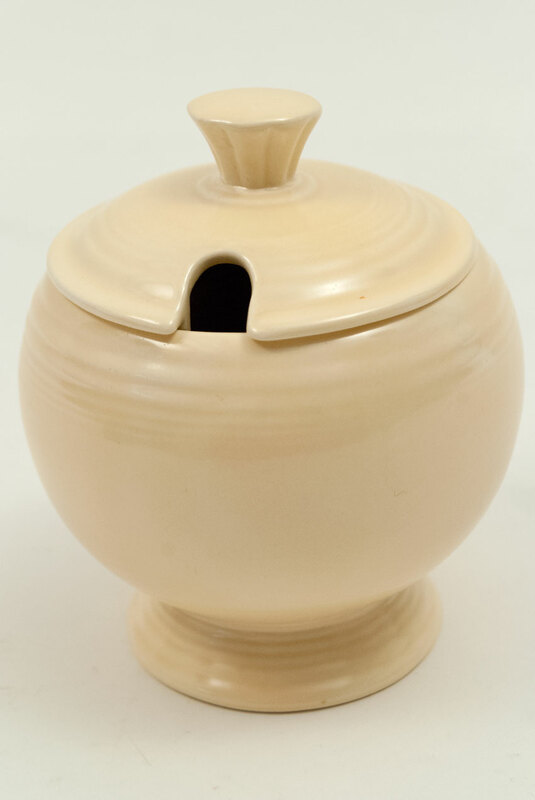 Orignally called the "honey jar", made from three pieces, a slip cast body and finial and the lid jiggered and the hole had to be hand punched from the lid before the clay dried, so the holes will vary slightly. 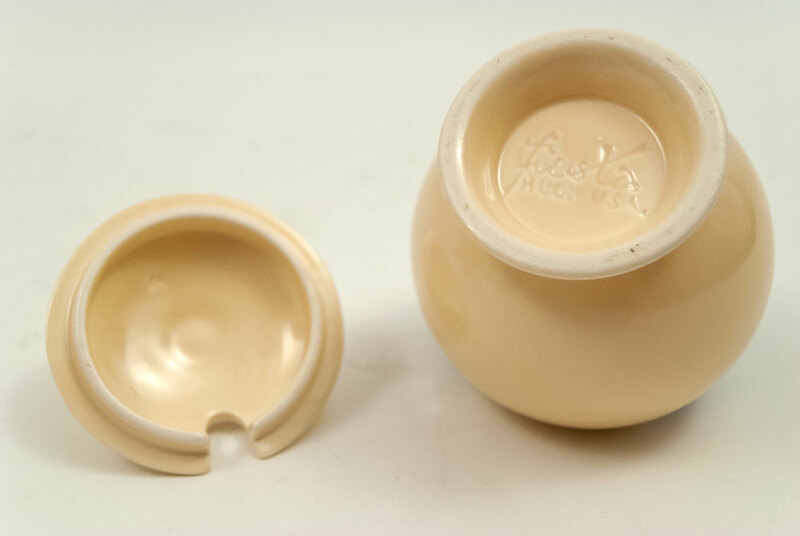 Not a large seller in the 40s resulted in fewer of these pieces being produced, making it a difficult find.It has proven hard to find the vintage ivory fiesta marmalade and especially without damage. This example is in fantastic condition without any damage, use or imperfections. 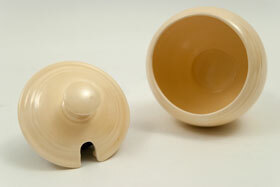 Clearly marked in the mold on the bottom "fiesta HLCo USA" .Measures 4 1/2" tall by 3 3/4" wide.